The holidays are a whirlwind of excitement, especially so for kids. The over-the-top nature of the holidays is a lot of fun, but can easily become too much. While you may get a bit stressed out by all of the parties and plans, kids can be downright overwhelmed. Before you know it, the most wonderful time of the year has turned into a time of meltdowns and misery—for them and for you. But you can help your child find a calmer way of dealing with the holidays. That will make things more fun for both of you. Parties, school performances and late shopping trips are all disruptions to your normal schedule. As you probably know, most kids with behavioral or social issues are even more dependent on consistency in their schedule. Stick to your normal routine as much as possible. 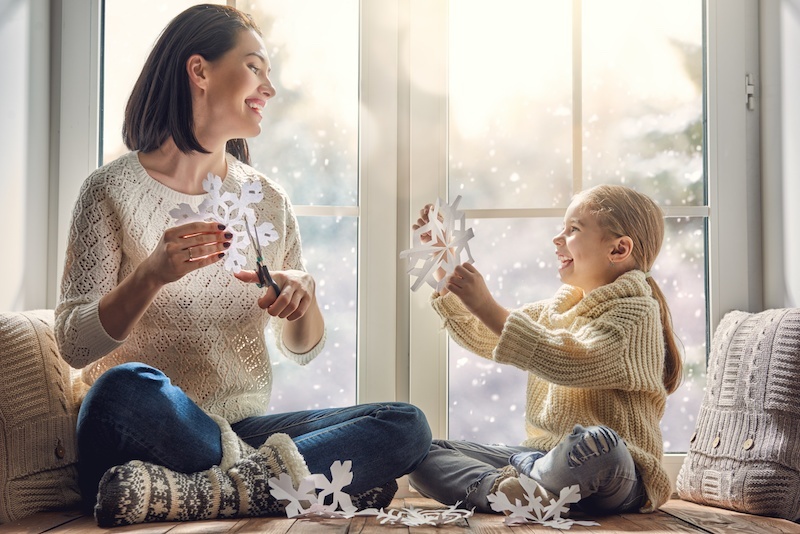 That may mean saying no to certain activities, or if you don't want to opt out completely from holiday happenings, choose quiet activities like cutting snowflakes or reading a holiday story with your child. Bright lights and loud sounds are just some of the sensory changes during the holidays. They make the holiday season more distinct from the rest of the year. But your child may be very sensitive to them and may become easily overloaded. Watch them closely in public places and at events to see if they’re starting to become overwhelmed. Whenever possible, make a polite but hasty exit when you see that the conditions are right for a meltdown. Holidays not only change our schedules in terms of time, but also in terms of what we eat and what other activities we have time for. Diet and exercise are important for everyone, but they often get pushed to the wayside during the busy holiday season. Kids are especially affected by diet changes (usually including more sugar), lack of exercise and short-changing their sleep. Try to maintain the positive habits, even during the holidays. Many kids are very sensitive to the moods of people around them. The holidays can be stressful, and your kids may pick up on that. Keep your own stress under control so it doesn’t add to your child’s feeling of being overwhelmed. Plan fun activities with your child to enjoy the spirit of the holidays. Make sure to pick low-stress, relaxing holiday activities. Try establishing a tradition of decorating sugar cookies in your pajamas or watching a funny holiday movie like “Elf” together. The holidays can be the best time of the year. Making sure your kids have fun without having too much excitement is actually not a bad problem to have!